In this game you will learn how to take care about animals. 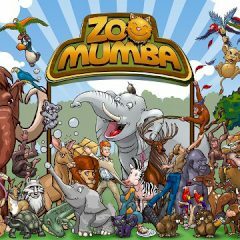 Create your own zoo and attract many visitors. Everyone should see your zoo. Earn money and buy a lot of cool things it. You will succeed! Do you like animals? Then this game is the best way to show it! Here you can buy animal habitats in the shop and then place them on your zoo to have them built. Just click on the habitat and then buy an animal. Is everything clear? So, make sure to specify whether you want a male or female animal and try to keep your zoo clean and your visitors happy by picking up the litter! You will get a lot of visitors and all of them are so happy to walk here. Just make them really glad. Enjoy the game and have fun!